Ever dreamed of a performance space with a series of ELEMENT Line Base systems? 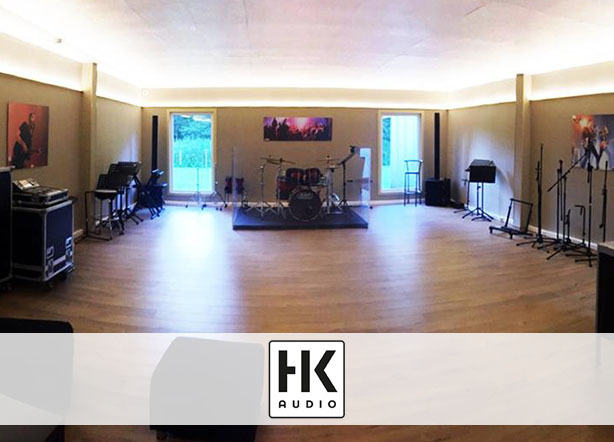 You're in luck, as a renowned Belgian rehearsal studio has been kitted out to exactly that! The decision came from ST Events. No surprise, as they regularly play host to some of Belgium's most famous musical performers and acts. Showing a good number of companies the best solution for the future, that was the approach of ST Events. The clear winner for pure acoustic sound was ELEMENTS. ST Events explain: “We tested a lot of different systems in different price categories. HK Audio’s ELEMENTS was the best… no discussion about this! We loved the ‘warm’ sound, the styling and the fact that it's a very compact system. So, as of this moment, there is an ELEMENTS Line Base system in every corner of the rehearsal room. Resulting in a superb and clear sound, no matter where the musicians are located, thanks to an E 110 SUB AS subwoofer and two E 835 mid/high units. Additionally, in case they need to boost the bass: an extra passive E 110 SUB unit is also available. Learn more about ELEMENTS Line Base here, and don't forget to Like our Facebook Page to stay up to date with everything from the world of music! Blackstar proudly presents their Second ID:CORE series!